Kevan Toney serves as Lieutenant of the Toledo Police Department, currently the youngest lieutenant serving. Prior to this position, Toney served as the public information officer, a patrol sergeant, SWAT Team member, and patrol officer. He has also served in different leadership roles in the department. Toney is an Air Force veteran and also earned his undergraduate and graduate degrees in criminal justice from BGSU. He has been recognized with multiple exceptional performance reports for action taken while on duty as well as other recognitions in his field. 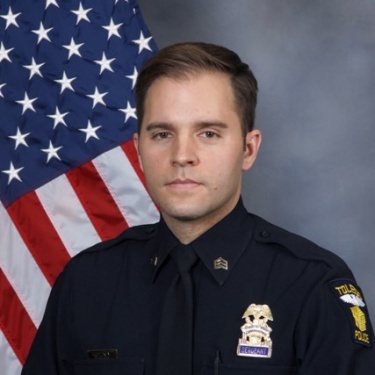 He is active in numerous volunteer activities associated with the police department, including 12 Kids of Christmas, raising funds for charity through Toledo Police Hockey, and volunteering at community events such as Race for the Cure. He also has past involvement outside of the department with Mountain Mentors, Gliding Stars, and the Alzheimer’s Association.